Hans Poulsen Egede (31 January 1686 – 5 November 1758) was a Dano-Norwegian Lutheran missionary who launched mission efforts to Greenland, which led him to be styled the Apostle of Greenland. He established a successful mission among the Inuit and is credited with revitalizing Dano-Norwegian interest in the island after contact had been broken for hundreds of years. He founded Greenland's capital Godthåb, now known as Nuuk. Hans Egede was born into the home of a civil servant in Harstad, Norway, nearly 150 miles north of the Arctic Circle. His paternal grandfather had been a vicar in Vester Egede on southern Zealand, Denmark. Hans was schooled by an uncle, a clergyman in a local Lutheran Church. In 1704 he travelled to Copenhagen to enter the University of Copenhagen, where he earned a Bachelor's degree in Theology. He returned to Hinnøya Island after graduation, and in April 1707 he was ordained and assigned to a parish on the equally remote archipelago of Lofoten. Also in 1707 he married Gertrud Rasch (or Rask), who was 13 years his senior. Four children were born to the marriage – two boys and two girls. At Lofoten, Egede heard stories about the old Norse settlements on Greenland, with which contact had been lost centuries before. Beginning in 1711, he sought permission from Frederick IV of Denmark to search for the colony and establish a mission there, presuming that it had either remained Catholic after the Danish Reformation or been lost to the Christian faith altogether. Frederick gave consent at least partially to re-establish a colonial claim to the island. Egede established the Bergen Greenland Company (Det Bergen Grønlandske Compagnie) with $9,000 in capital from Bergen merchants, $200 from the Danish king, and a $300 annual grant from the Royal Mission College. The company was granted broad powers to govern the peninsula (as it was then considered to be), to raise its own army and navy, to collect taxes and to administer justice; the king and his council, however, refused to grant it monopoly rights to whaling and trade in Greenland out of a fear of antagonizing the Dutch. Haabet ("The Hope") and two smaller ships departed Bergen on 2 May 1721 bearing Egede, his wife and four children, and forty other colonists. On 3 July they reached Nuup Kangerlua and established Hope Colony (Haabets Colonie) with the erection of a portable house on Kangeq Island, which Egede christened the Island of Hope (Haabet Oe). Searching for months for descendants of the old Norse colonists, he found only the local Inuit people and began studying their language. Missionising among them required some imagination as, for instance, the Inuit had no bread nor any idea of it, requiring the Lord's Prayer to be translated as "Give us this day our daily seal". By the end of the first winter, many of the colonists had been stricken with scurvy and most returned home as soon as they could. Egede and his family remained with a few others and in 1722 welcomed two supply ships the king had funded with the imposition of a new tax. His (now ship-borne) explorations found no Norse survivors along the western shore and future work was misled by the two mistaken beliefs – both prevalent at the time – that the Eastern Settlement would be located on Greenland's east coast (it was later established it had been among the fjords of the island's extreme southwest) and that a strait existed nearby communicating with the western half of the island. In fact, his 1723 expedition found the churches and ruins of the Eastern Settlement, but he considered them to be those of the Western. At the end of the year, he turned north and helped establish a whaling station on Nipisat Island. In 1724 he baptized his first child converts, two of whom would travel to Denmark and there inspire Count Zinzendorf to begin the Moravian missions. In 1728, a royal expedition under Major Claus Paarss arrived with four supply ships and moved the Kangeq colony to the mainland opposite, establishing a fort named Godt-Haab ("Good Hope"), the future Godthåb. The extra supplies also allowed Egede to build a proper chapel within the main house. More scurvy led to forty deaths and abandonment of the site not only by the Danes but by the Inuit as well. Egede's book The Old Greenland's New Perlustration (Norwegian: Det gamle Grønlands nye Perlustration) appeared in 1729 and was translated into several languages, but King Frederick had lost patience and recalled Paarss's military garrison from Greenland the next year. Egede, encouraged by his wife Gertrud, remained with his family and ten sailors. A supply ship in 1733 brought three missionaries and news that the king had granted 2,000 rixdollars a year to establish a new company for the colony under Jacob Severin. The Moravians were allowed to establish a station at Neu-Herrnhut (which became the nucleus of modern Nuuk, Greenland's capital) and in time a string of missions along the island's west coast. The ship also returned one of Egede's convert children with a case of smallpox. By the next year, the epidemic was raging among the Inuit and in 1735 it claimed Gertrud Egede. Hans carried her body back to Denmark for burial the next year, leaving his son Poul to carry on his work. In Copenhagen, he was named Superintendent of the Greenland Mission Seminary (Seminarium Groenlandicum) and in 1741 the Lutheran Bishop of Greenland. A catechism for use in Greenland was completed by 1747. He died on 5 November 1758 at the age of 72 in Stubbekøbing at Falster, Denmark. Egede became something of a national "saint" of Greenland. The town of Egedesminde (lit. "Memory of Egede") commemorates him. It was established by Hans's second son, Niels, in 1759 on the Eqalussuit peninsula. It was moved to the island of Aasiaat in 1763, which had been the site of a pre-Viking Inuit settlement. Statues of Hans Egede stand watch over Greenland's capital in Nuuk and outside of Frederik's Church (Marmorkirken) in Copenhagen. His grandson and namesake Hans Egede Saabye also became a missionary to Greenland and published a celebrated diary of his time there. The Royal Danish Geographical Society established the Egede Medal in his honour in 1916. The medal is in silver and awarded 'preferably for geographical studies and researches in the Arctic countries'. Hans Egede also gave one of the oldest descriptions of a sea serpent commonly believed to have been a giant squid. On 6 July 1734 he wrote that his ship was off the Greenland coast when those on board "saw a most terrible creature, resembling nothing they saw before. The monster lifted its head so high that it seemed to be higher than the crow's nest on the mainmast. The head was small and the body short and wrinkled. The unknown creature was using giant fins which propelled it through the water. Later the sailors saw its tail as well. The monster was longer than our whole ship". Egede's own 1722 map of the area around "Habets Oe"
^ a b c Sara Shannon. "Hans Egede, The Apostle of Greenland". James Ford Bell Library at University of Minnesota. Retrieved 19 June 2013. ^ a b c Oswalt, Wendell H. Eskimos and Explorers. Univ. of Nebraska Press, 1999. ^ Doody, Richard. The World at War: "Greenland 1721–1953". ^ a b Marquardt, Ole. "Change and Continuity in Denmark's Greenland Policy" in The Oldenburg Monarchy: An Underestimated Empire?. Verlag Ludwig (Kiel), 2006. ^ a b c d Mirsky, Jeannette. To the Arctic! : The Story of Northern Exploration from Earliest Times. Univ. of Chicago Press, 1998. ^ "Hans Poulsen Egede Archived 2011-07-20 at the Wayback Machine". The Mineralogical Record. Chisholm, Hugh, ed. (1911). "Egede, Hans" . Encyclopædia Britannica. 9 (11th ed.). Cambridge University Press. Wikimedia Commons has media related to Hans Egede. 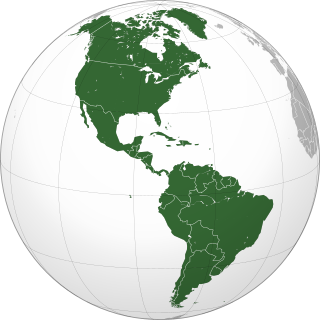 Denmark and the former political union of Denmark–Norway had a colonial empire from the 17th through the 20th centuries, large portions of which were found in the Americas. Denmark and Norway in one form or another also maintained land claims in Greenland since the 13th century. Nuuk is the capital and largest city of Greenland. It is the seat of government and the country's largest cultural and economic centre. The major cities closest to the capital are Iqaluit and St. John's in Canada and Reykjavík in Iceland. Nuuk contains almost a third of Greenland's population and its tallest building. Nuuk is also the seat of government for the Sermersooq municipality. In January 2019, it had a population of 17,984. Paul or Poul Hansen Egede was a Dano-Norwegian theologian, missionary, and scholar, principally concerned with the Lutheran mission among the Kalaallit people of the Greenland established by his father Hans in 1721. Kangeq or Kangek is a former settlement in the Sermersooq municipality in southwestern Greenland. It is located on the same island that formed the first Danish colony on Greenland between 1721 and 1728. Peder Olsen Walløe was a Dano-Norwegian Arctic explorer most noted for his historic exploration of the former Norse settlements on Greenland. Old Nuuk is a neighborhood of Nuuk, the capital of Greenland. The Moravian missions in Greenland were established by the Moravian Church or United Brethren and operated between 1733 and 1900. They were operated under the auspices of the Royal Danish College of Missions until its dissolution in 1859 and were finally surrendered to the Lutheran Church of Denmark in 1900. Missionaries were allocated to the region and sometimes even sent wives who had been chosen for them and approved by the drawing of lots, a form of Cleromancy.